Emilio Pucci's bright pieces are just as coveted by stylish women today as they were by style icons like Marilyn Monroe and Grace Kelly in the '60s. 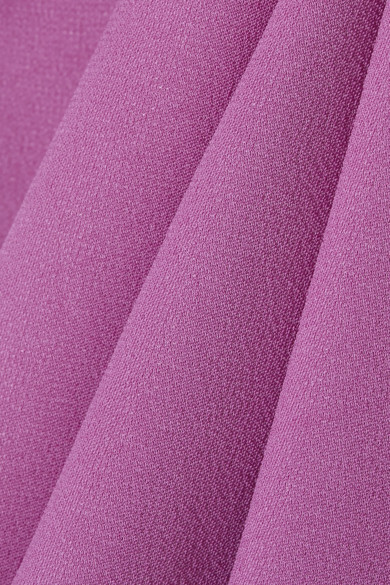 These pants are cut from magenta stretch-crepe and have a relaxed wide-leg silhouette. Try them with a printed top or crisp white shirt. Shown here with: Lela Rose Top, Prada Shoulder bag, Aquazzura Pumps, Sophie Buhai Earrings.